Take advantage of my stupidity! I have in front of me a small pile of prints. These are gorgeous prints, which I made for sale at conventions and the like. They have been kept in a nice flat file, ever since I started using a print-on-demand service. 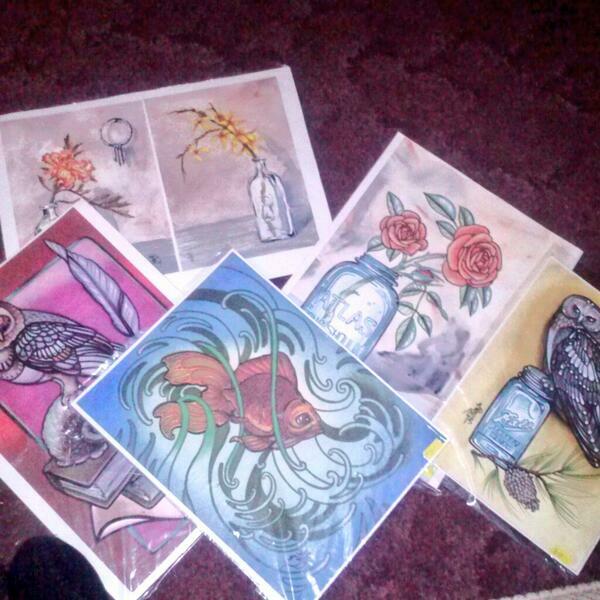 I stopped selling prints direct, and I sort of forgot about this little pile of treasures…until now. I take that back, there’s FIVE left. thirty for a pair, sixty for all five. the largest is 12×16″, the smallest is 9×12″. to buy them- click here to buy two, click here to buy all five.